Fab shows how to connect a Universal Audio Apollo to a Dangerous D-Box. He goes through the specificities of the Apollo console and its cue system and real time processing features as well as analog summing and extended monitoring possibilities with the Dangerous D-box. Yes... it is for geeks only. Can this be utilized with an Apollo Twin setup as well? the SPDIF mirror monitor 1 ,2 is no longer available or at least worded in the same way , or I can't find it, in V9.x.x of the Apollo Console. The closest setting I find is simply labelled "Digital Mirror"
Hey Fab. I think some of us will be happy, if you want to show how to set up D-Box with Avid HD Omni. Thanks! I'm also thinking about this combination. I've been using the Apollo Quad for a year or so. I'm a film composer so I'm used to tight deadlines. Does adding the D-box mean I'll have to bounce in real time only? 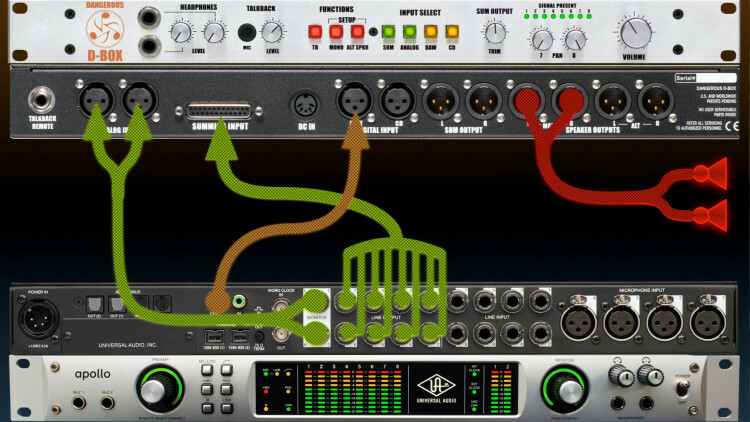 hi, about tracking with an apollo and a D Box ... if we plug the sum output to apollo line 1-2 , does that mean that we can track only 6 tracks in the same time if we have external pre's with no adat ?? thanks ! Hey esencia- yes, 8 channels of summing makes a big difference from mixing all in the box. The cool thing about the D-Box though is that you're not just upgrading to summing- you're also upgrading monitoring. That goes a long way when it comes to getting a better final product, because if you can hear what's really there, you can make better decisions about your tracks. One more question, although it seams this conversation has been dead for quite a while now? Isn't the one step misssing that really makes for "analog summing" - the dedicated per channel converters? Like in your 2-Bus video. Out of the box into the converters and into the 2-Bus for the analog summing? Hi Fab, your video's are amazing. I'm about to get an Apollo and your info on dangerous analog stuff is starting to lead me down that path. In this video, what kind of stand are you using for the Apollo? I love that idea as i want be more portable with an Apollo setup! 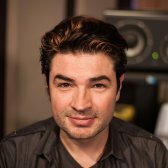 @Fabulous_Fab @DangerousMusic Considering -18dBFS RMS the average sweet spot of the A/D converter, how does this affect the mix down phase when incorporating analog summing back into the DAW? The entire mix, especially when run through outboard processing, will have a much higher RMS level than -18dBFS. Will the sound of the mix suffer because the converters are getting hit too hard on the way back in? Is there a sweet spot in this mix down scenario? I intend on purchasing the Dangerous D-Box to do the summing for my Apollo interface, so this is the set up I am considering. Merci! the signal that I record on the Print track. With the InputMonitoring on the Daw it is not possible because you'll get the feedback like Fab explains at the end of the video. Hi Fab, Is there a possibility to monitor the last step (at 7:70, 33609 Insert)? The ipod dock is from Cambridge Audio. Very nice. Fab, you are always saving us Apollo owners! also, me too. i would like to know where the dock came from! Fab, where can I pick that specific ipod dock?